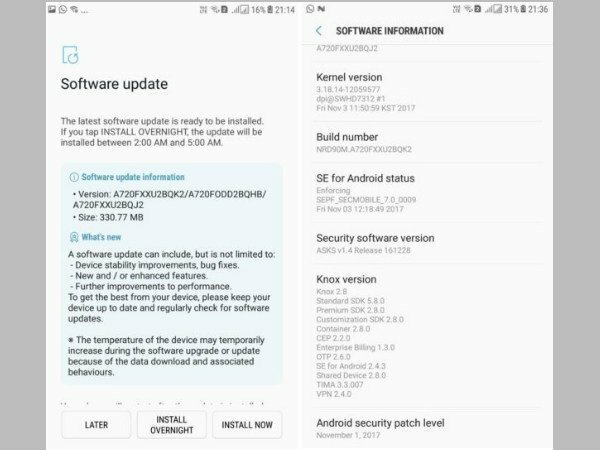 Samsung Galaxy A7 (2017) update brings the latest November security patch and fixes for 61 Android security issues. Good news for Galaxy A7 (2017) owners. Samsung is rolling out an important software update for the device. 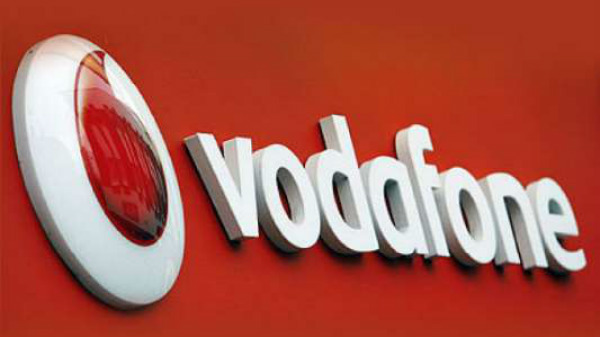 The handset is now receiving the latest November security update in India. The rollout comes after South Korea and the UAE. The firmware comes at a size of 330MB and with build number A720FXXU2BQK2. The update brings the latest November security patch and fixes for 61 Android security issues. As per the reports, the update also removes bugs specific to Samsung's UI. However, the most important thing this update brings is a security patch for the KRACK vulnerability. So the best way to stay safe is to always update the OS and this new Samsung Galaxy A7 (2017) update is undoubtedly an important one. Apart from that, no new features are added as it is with any security update. If you own a Galaxy A7 (2017), you should download this update as soon as you can. In any case, this new update will be replacing the previous October security patch. The monthly patches offer protection against latest security threats that can make Android devices vulnerable to security malfunction. The update is basically being rolled out as an OTA update so it might take time to reach all the devices globally. OTA updates are generally rolled out in phases. Meanwhile, the users of the Galaxy A7 (2017) smartphones can check for notifications of the update. They can also check for the same manually by heading to Settings>About Device >Download Updates Manually. 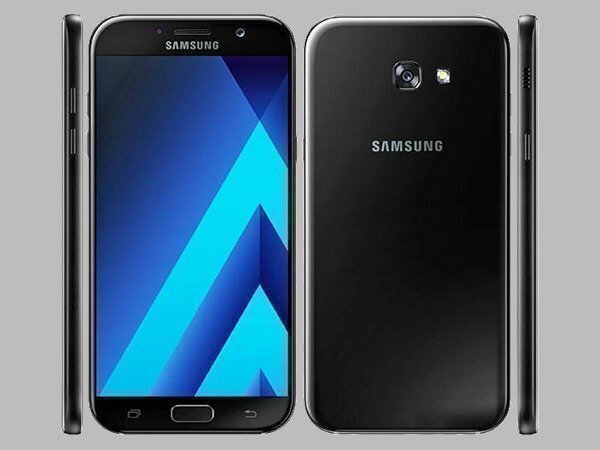 Now that the A7 has started receiving the update another smartphone in the A series, the A5 (2017) should also receive the same treatment in India.